It’s time to step up our grilling game, people. 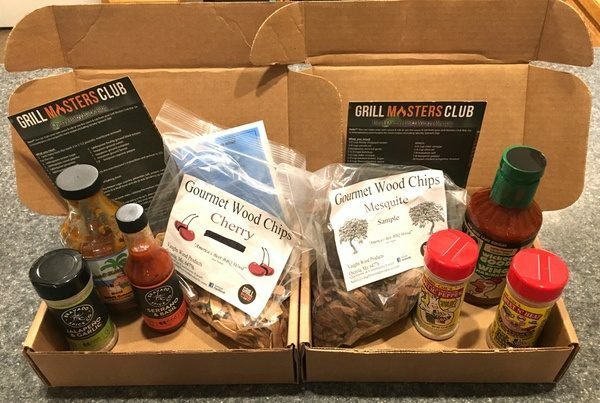 This week we’re checking out the Grill Masters Club, a subscription service that delivers a new collection of grilling products to your doorstep each month. Let’s fire up the grill and see what we get! 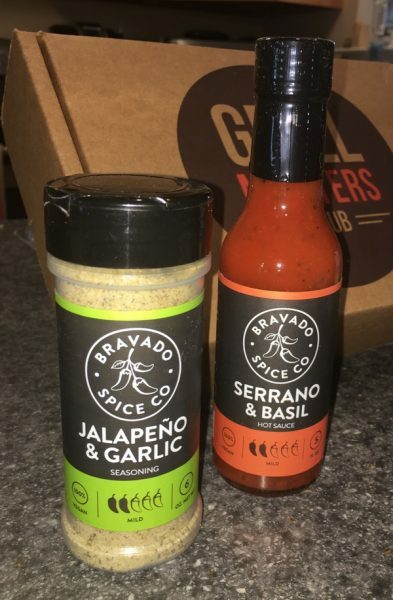 It’s a subscription service that delivers a new grilling products to your doorstep every month. You also get access to their newsletter and members-only Facebook group for recipes, tips, videos, product discounts, and monthly giveaways. The Grill Masters Club team curates every month’s package for your grilling adventures. Everything is sourced, tested, packed, and shipped from their home base in Jacksonville, Florida. Each box is built on a theme like “The Twisted Texan” or “Exotic Fruit and Spice.” All of the products come from small batch manufacturers, giving you a chance to play with new items that may not normally be available in your area. 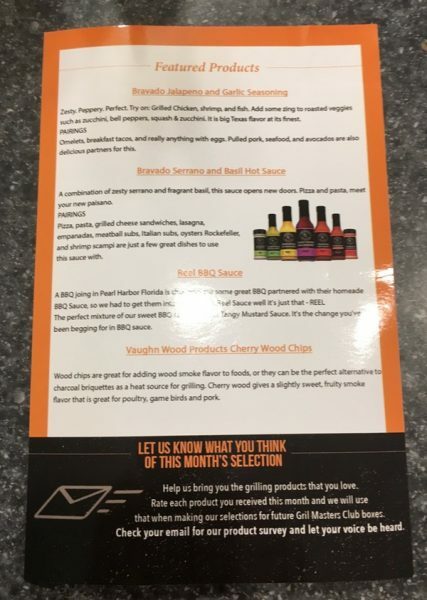 A reference card for all the products is also included that provides some background information on the manufacturers and tips on how to use the item in your cooking. You also get a recipe card that goes along with the theme of the month. 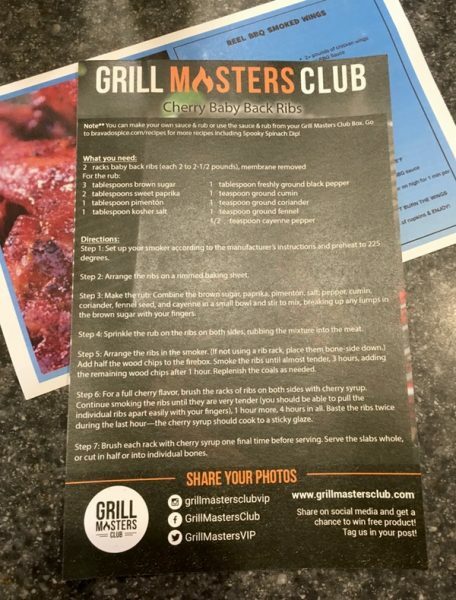 The Grill Masters Club also supports your membership with an e-mail newsletter and a members-only Facebook group that provides ongoing articles and videos to develop your skills. 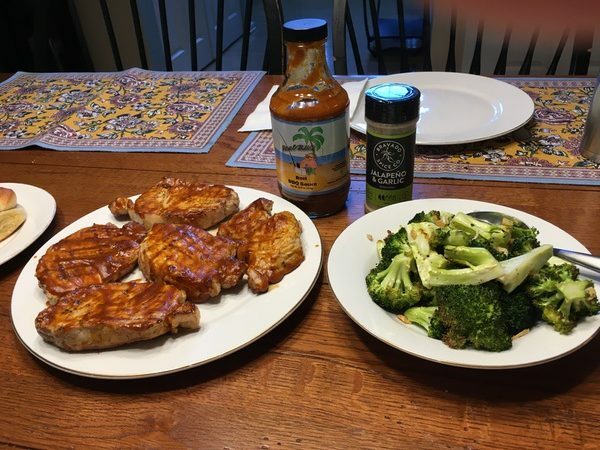 The content covers the whole spectrum of grilling topics from recipes to tips and techniques. You also get access to members-only exclusive giveaways and product discounts. The content is excellent and updated several times a week, so they are clearly investing the time to make sure that this service adds value to your experience. I’ll continue to post updates on my experiences with the Grill Masters Club throughout the summer. I’m not gonna lie: I really like what I am seeing so far! None to report at this time! 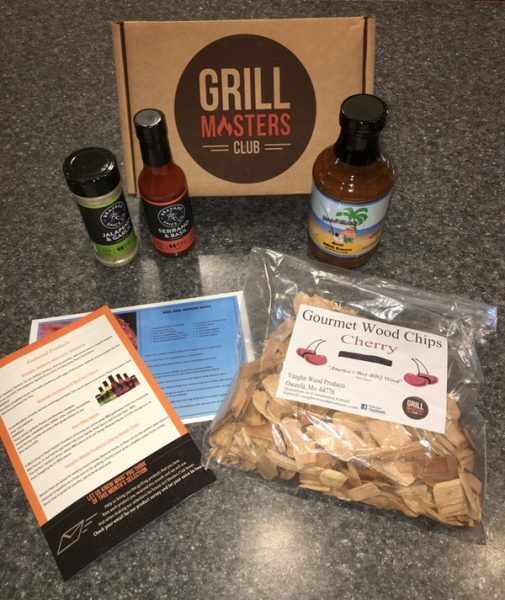 Whether you’re a grilling newbie or a seasoned pitmaster, the Grill Masters Club is a great option for trying out new flavors, refining your skills, and adding some variety to your menus. In my opinion, the product quality and their dedication to online content make this a worthwhile investment. Your friends and family may thank you. Price: $32.95/month for a one-time sample, $29.95/month for a 3 or 6-month subscription, or $27.95 a month for a full year subscription to the service. 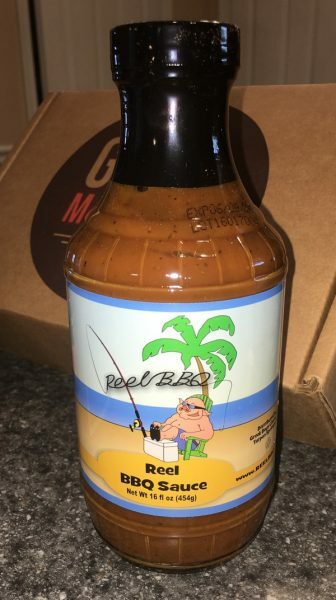 Where to buy: Visit the Grill Masters Club site for more information. 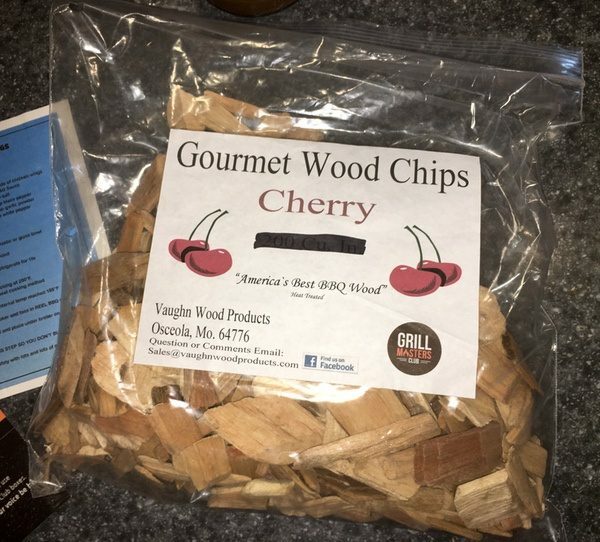 Source: The sample of this product was provided by Grill Masters Club. Thank you! I ‘ll have to check out your reviews! I’m a novice when it comes to smoking, but I am learning!